Few things are more alarming to pet lovers than discovering a cherished pet is missing, but there are some tried and true methods to find your lost cat. 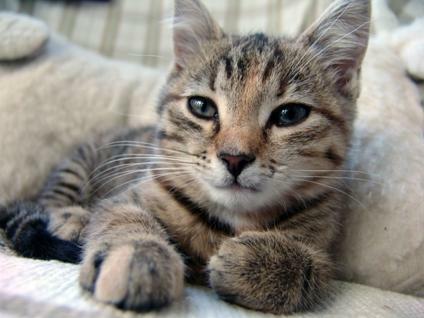 Acting quickly and rationally is the best way to ensure that your beloved feline comes home as soon as possible. It's easy to panic when you find your feline is missing in action, but there are steps you can take to increase the chance your cat will be found and returned to you. Your chances are significantly better if you act sooner rather than later. As soon as you realize that your pet is missing, you should step into action. Start by grabbing a photograph of your cat so you can show others what your cat looks like if need be. Second, keep a list of steps that you do take so that should you need to expand your search, you can quickly and easily let others know what you have done already. Call your local animal shelters and let them know your cat is lost. Give a good description of what your cat looks like. Better yet, make photo copies of his/her picture to drop off. Be sure to provide your contact information. Check in with your local animal warden if your municipality requires licensing cats. Your pet could turn up there. Put out a bowl of your cat's favorite dry food in hopes of luring him/her back to your property. Take a walk through your neighborhood to see if you can locate your pet. Don't forget to look up in the trees. Cats love to climb. Take a drive around the area you live in. Many cats are found within a three mile radius of home. If your cat doesn't come home within the first 24 hours, you will need to step up your search. Create a flyer with your cat's photo on it, along with the words "Lost Cat," your address and telephone number. Tack them to utility poles and ask stores around the neighborhood if you can hang one up with them, especially pet supply stores. Call as many local vets as possible to see if an injured, unclaimed cat has been brought in for treatment. Describe your cat in the event that one is brought in later, and leave your name and number at each clinic. Place a lost add in the pet section of your newspaper. Some newspapers actually provide free lost pet ads as a public service. Check the "found pets" section to see if some other kind person has your cat and is trying to locate you. You may want to canvas the neighborhood door-to-door. Continue to check with shelters, vets and your animal warden in the days and weeks to come. Have your cat wear a collar with a license, if applicable, and your address tag on it. Is your cat spayed or neutered? A cat in search of a mate may actually travel farther than one that is merely exploring your yard. A cat that is new to your home is less likely to feel a sense of belonging and so you may want to exercise caution when letting a new pet outdoors until it is used to your property. A cat that is familiar with its surroundings is more likely to return when it gets hungry or tired. 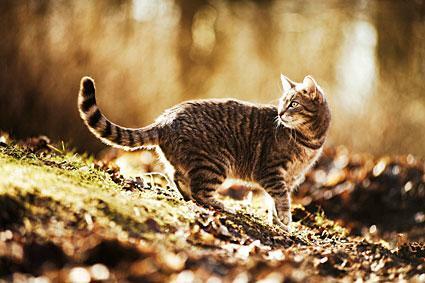 Every cat has its own personality, but one thing most cats share in common is a desire to explore the great outdoors. If you happen to let your cat have free time to roam outside, then you already understand how much cats love to put their natural instincts into action. If you happen to have an indoor cat, you've probably noticed the way he/she likes to spend time watching the world outside from your window. Cats are also creatures of opportunity. They will sometimes wander off and enjoy the hospitality of other kind people who will set food out for them because they assume these cats are strays. If the pickings are especially good, a cat may pay an extended visit before retracing its steps back home.